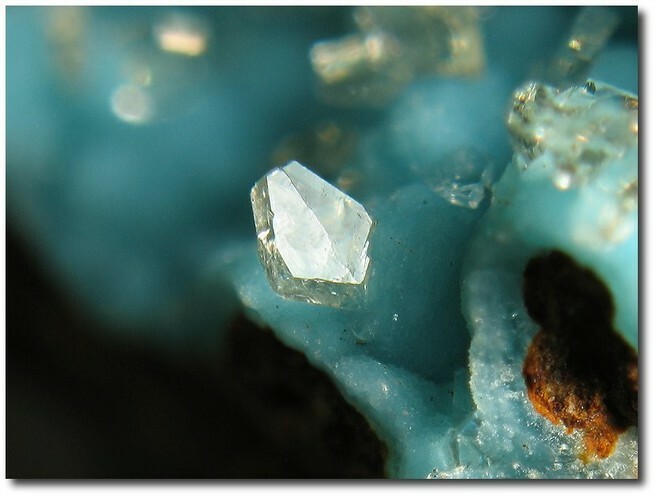 Senegalite: Mineral information, data and localities. Named in 1976 by Zdeněk Johan after its discovery locality, the iron deposit of Kouroudiako, located in the valley of Faleme, in eastern Senegal. Turquoise 75 photos of Senegalite associated with Turquoise on mindat.org. Crandallite 22 photos of Senegalite associated with Crandallite on mindat.org. Augelite 4 photos of Senegalite associated with Augelite on mindat.org. Wavellite 2 photos of Senegalite associated with Wavellite on mindat.org. Variscite 1 photo of Senegalite associated with Variscite on mindat.org. Limonite 1 photo of Senegalite associated with Limonite on mindat.org. 42.6.7.2 Bulachite Al2(AsO4)(OH)3 · 3H2O Orth. 19.7.7 Bolivarite Al2(PO4)(OH)3 · 4-5H2O Amor. 19.7.9 Evansite Al3(PO4)(OH)6 · 6H2O Amor. 19.7.10 Vantasselite Al4(PO4)3(OH)3 · 9H2O Orth. 19.7.11 Kingite Al3(PO4)2F2(OH) · 7H2O Tric. Fades from green to yellow in sunlight. Keep out of Sunlight! Johan, Z. (1976) La sénégalite, Al2(PO4)(OH)3 •H2O, un nouveau minéral. Lithos: 9: 165–171. Fleischer, M., Cabri, L.J., Nickel, E.H., Pabst, A. (1977) New mineral names. 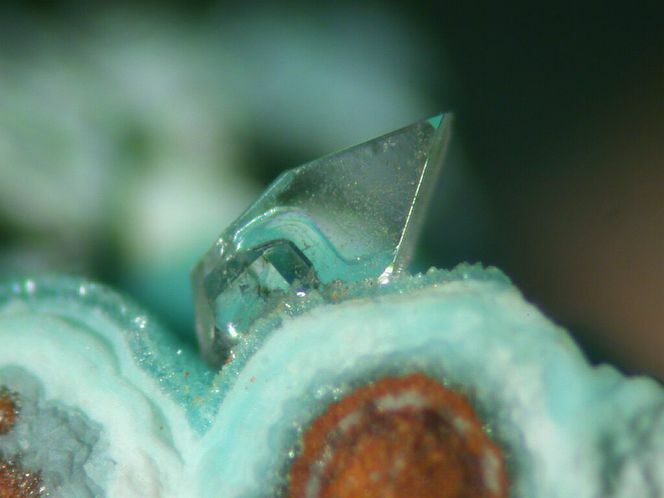 American Mineralogist: 62: 593-600. Keegan, T.D., Araki, T., Moore, P.B. (1979) Senegalite, Al2(OH)3(H2O)(PO4), a novel structure type. 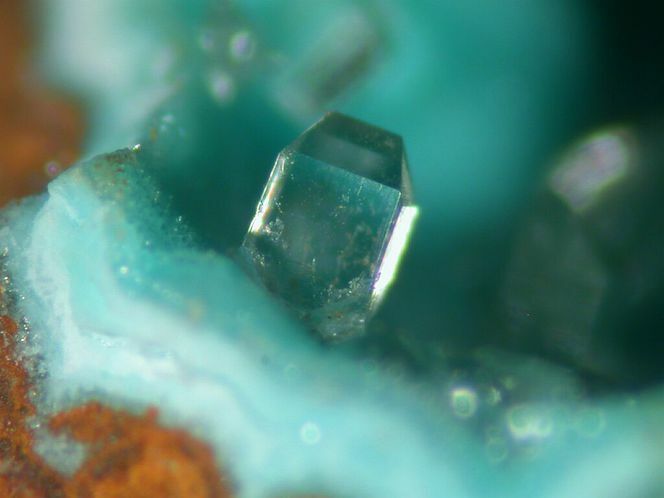 American Mineralogist: 64: 1243–1247. Gineste, C. (2005) Sénégalite et phosphates associés de Kouroudiako, Falémé, Sénégal. Le Règne Minéral: 65: 13-24. Frost, R.L., López, A., Xi, Y., Murta, N., Scholz, R. (2013) The molecular structure of the phosphate mineral senegalite Al2(PO4)(OH)3⋅3H2O – A vibrational spectroscopic study. Journal of Molecular Structure: 1048: 420-425. The following Senegalite specimens are currently listed for sale on minfind.com. Sioeira, N. v. m. e., & DE Oliveira, N. p. 0 (1982) Padrão DE Distribuição DE Elementos Principais E Traços'nas Lateritas Fosfatadas Da Chapada DE Pirocaua (Ha). B Gioia collection; Frost, R. L., López, A., Xi, Y., Murta, N., & Scholz, R. (2013). The molecular structure of the phosphate mineral senegalite Al 2 (PO 4)(OH) 3⋅ 3H 2 O–A vibrational spectroscopic study. Journal of Molecular Structure, 1048, 420-425.